Learn the secret techniques of being more persuasive - Anytime Anywhere! We all want to be able to influence other people, including clients, friends, bosses, co-workers, customers, our children, husbands, wives, and pretty much everyone else! It all comes down to creating belief. 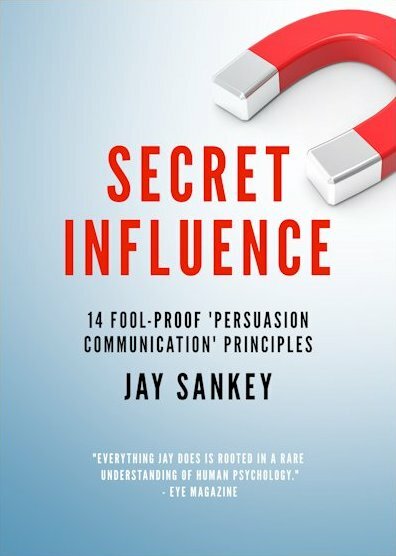 Even though persuasion is about connecting with people on a fascinating variety of levels, and involves key psychology ingredients...the combining of those ingredients - is an art. Rational appeals can be very effective, and emotional appeals can be even more effective. But appeals to people's IMAGINATIONS can be the most compelling and dependable appeals of all. You'll be able to apply these ingenious persuasion principles and techniques in the boardroom, the bar, on the phone, in emails, with your family, friends, and even your texts and tweets. 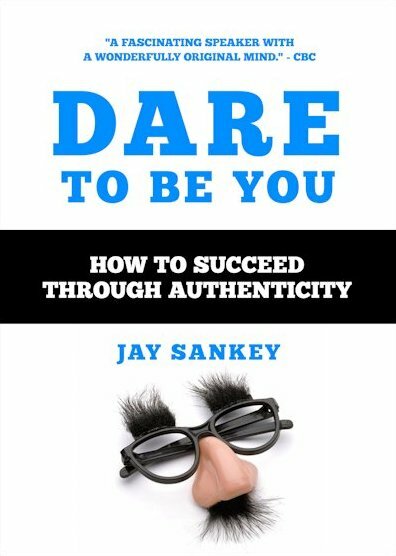 Jay Sankey has persuaded publishers to publish his books, corporations to hire him for trade shows, television networks to commission his shows, audiences to laugh at jokes they're 'not supposed to,' and more than 25 million viewers to watch him on YouTube. Jay has even persuaded people all over the world, to believe in things that they know - are absolutely IMPOSSIBLE. 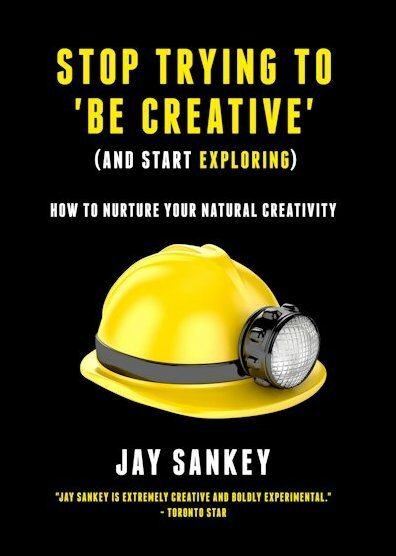 Jay Sankey is an international public speaker, multi-media marketer, author, performer and consultant.